New Sensor – 1000 Times More Sensitive to Light! Engineers from Singapore have created a new type of camera sensor made from graphene that is said to be 1,000 times more sensitive to light than current imaging sensors. Researchers from the Nanyang Technological University in Singapore created a new super sensitive sensor made from graphene – a new material made out of pure carbon atoms arranged in a honeycomb structure with unique properties. The graphene sensor is not only 1,000 times more sensitive to light than existing imaging sensors, it also uses 10 times less energy since it operates at lower voltages. When mass produced, graphene sensors are estimated to cost at least five times cheaper. Another advantage of the new graphene sensor is its ability to detect a broad spectrum light, ranging from the visible to mid-infrared. This ability could allow for the development of a new type of cameras ranging from military night vision systems to traffic cameras, satellite imaging systems and all the way to super sensitive consumer level cameras. Graphene is a very promising material. Although it was only isolated in 2004, it was already the subject of a Nobel Prize (given in 2010). Graphene is a million times smaller than the thickest human hair and is known to have a high electrical conductivity among other properties such as durability and flexibility. 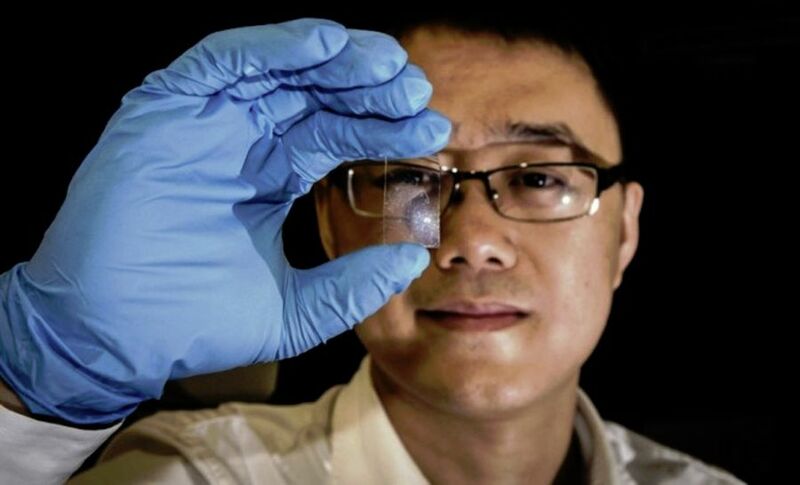 According to Professor Wang Qijie who led the research which was recently published in nature magazine: “We have shown that it is now possible to create cheap, sensitive and flexible photo sensors from graphene alone. We expect our innovation will have great impact not only on the consumer imaging industry, but also in satellite imaging and communication industries, as well as the mid-infrared applications”. All these new capabilities might not be that far away. Professor Wang mentioned that "While designing this sensor, we have kept current manufacturing practices in mind. This means the industry can in principle continue producing camera sensors using the CMOS process, which is the prevailing technology used by the majority of factories in the electronics industry. Therefore manufacturers can easily replace the current base material of photo sensors with our new nano-structured graphene material”. Even though the current performance graphene sensor is so impressive, Professor Wang believes that there is still a great room for improvement: "The performance of our graphene sensor can be further improved, such as the response speed, through nanostructure engineering of graphene, and preliminary results already verified the feasibility of our concept". More information can be found on the Nanyang Technological University website and the original research can be found in nature magazine (subscription required).